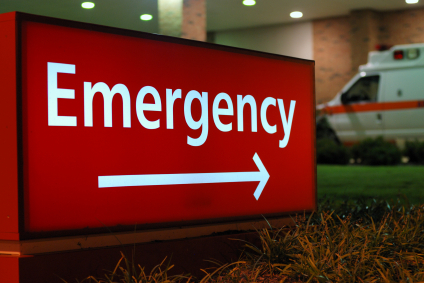 Millions of people in the U.S. are sent to emergency rooms every year due to car wrecks. The costs associated with their injuries are staggering. It is surprising just how often car wrecks occur and the frequency of injuries caused by these crashes. The following are some statistics about the cost and frequency of car crashes that every driver should know. The Center for Disease Control (CDC) reported several surprising facts related to the cost of car wrecks in 2012. The report found that the medical bills of U.S. motorists who went to the ER for injuries after crashes totalled $18 billion. Motorists were estimated to incur a total of $33 billion in lost wages. The average emergency room cost per person was $3,300 and an estimated $57,000 over their lifetime. Drivers between the ages of 15 and 29 had the highest rate of injury, although motorists over 80 were hospitalized at the highest rate. It was estimated that over 75 percent of a motorist’s medical costs were incurred during the first 18 months after their crash. Overall, U.S. motorists were hospitalized for over one million days due to injuries sustained in car wrecks. Car wrecks occur every minute of the day, according to The National Highway Traffic Administration. There are over five million car crashes every year. Many of these wrecks result in injuries or fatalities and many of the factors that contribute to the number of crashes are preventable. Studies have found that the ultimate contributing factors to car crashes are driver impairment and distracted driving. If you have been in a car crash, you should first see a doctor. Next, find a personal injury lawyer in your area that can help get you the money you deserve. The process of filing a personal injury lawsuit after a wreck can seem overwhelming. An experienced attorney can help you navigate the process of filing a claim, including finding important information, developing the case, and getting the best outcome possible. If you were injured in a car wreck, you may be able to receive compensation for your injuries. Dean Boyd is prepared to assist you throughout your personal injury claim. Call us at (806) 242-3333 or Contact Us by email today for more information about our services. You can also visit us in person at 4423 SW 45th Ave in Amarillo, Texas or 5012 50th St #103 in Lubbock, Texas to speak with one of our personal injury lawyers.